GERRY — Over the past three years, life has changed considerably for 27 year old Paul Cubahiro, and now that he has passed his certified nursing assistant exam, more exciting changes are on the way. For more than a year now, Cubahiro has been working and living on campus at Heritage Village in Gerry, and in the words of Administrator Valerie Johnson, “He’s part of the family.” Cubahiro recently shared his journey from Kenya to Gerry and the new goals he has set, both personally and professionally, now that he has reached this new milestone. “I am from the Congo, but I used to live in Kenya as a refugee,” Cubahiro explained. “I moved here to America in 2015.” Sadly, over a million people like Cubahiro have fled the Democratic Republic of Congo (DRC), which is considered “one of the most complex and challenging humanitarian situations worldwide,” according to the UN Refugee Agency. In recent years, the DRC has struggled with civil war and corruption, especially violence over control of the country’s vast mineral resources. Human rights violations are widespread and include physical mutilation, killings, sexual violence, arbitrary arrest and detention in inhumane conditions, which has forced many Congolese to flee their homes. DRC refugees have fled to multiple sub-Saharan African countries including Kenya, where Cubahiro’s wife and daughter, born just a few weeks ago, still live. 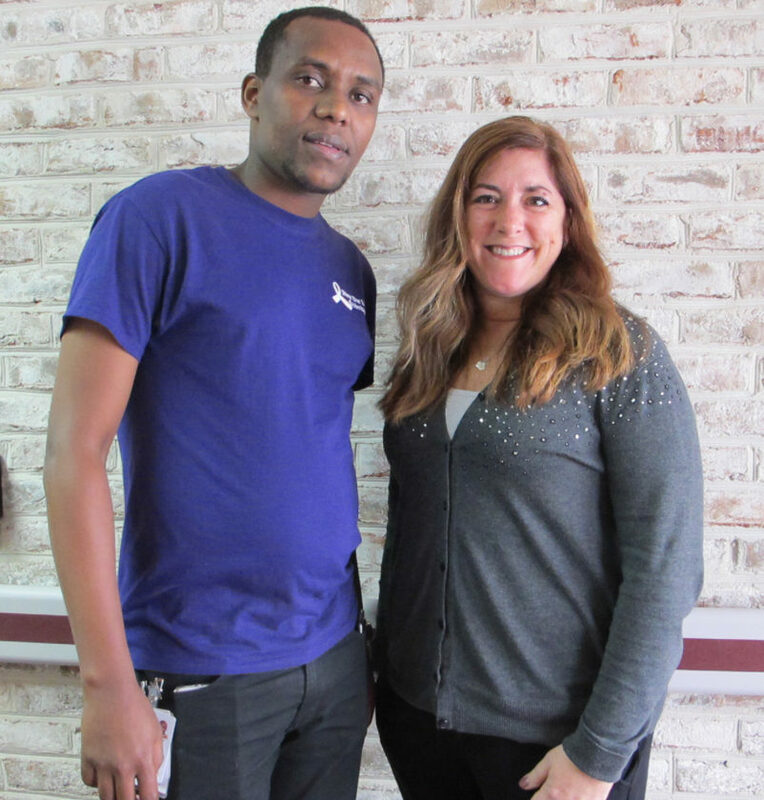 Heritage Ministries, which has had a long affiliation with the Free Methodist Church, connected Cubahiro with the resources to begin his healthcare career here, while also building on the language skills he acquired in Albany. “When I came here, I had no English,” Cubahiro recalled. “It was very hard to learn. … In Albany, I took a training for six months. Apart from that training, I would read the newspaper, watching American movies, listening to American songs. I would just forget about everything in my language because I have enough of my language. I don’t need anymore. I decided to follow everything in English. Where I don’t understand, I go to Google,” he laughed. Cubahiro spent a few weeks in ESL classes at the Gateway Center in Jamestown, and then joined the CNA program through Heritage Living at the Chautauqua Mall, which offers training classes for new and existing employees. Last month, Cubahiro passed the exam to become a CNA, and now has his sight set on the Licensed Practical Nurse (LPN) program at JCC. Personally, Cubahiro’s primary goal is to bring his wife and daughter, Edna, to the United States. Although Cubahiro is somewhat less than thrilled with western New York’s cold and snowy weather, he says the drawbacks of living are nothing compared to the life he left in Africa. Despite the challenges he has had to overcome, Cubahiro is grateful for his new life in Gerry — a life he hopes to be sharing with his family soon.